Foreign Minister Sushma Swaraj has offered help to the Russian Tourist who was begging outside a temple. 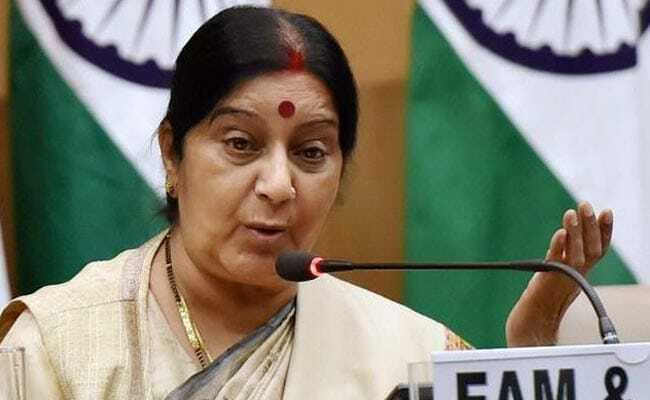 New Delhi: External Affairs Minister Sushma Swaraj has come to the aid of a Russian national, who had to resort to seeking alms at a temple in Tamil Nadu after finding that his debit card ATM PIN had got locked. The tourist, who has been identified only by his first name Evangelin, came to Kumarakottam Sri Subramanya Swami temple and sat at the gate with his backpack and sought alms using his cap. "Evangelin -- Your country Russia is our time tested friend. My officials in Chennai will provide you all help," Ms Swaraj tweeted late on Tuesday night following a media report about 24-year-old A. Evangelin begging at a temple in Kancheepuram. He went to an ATM kiosk in the temple town to withdraw money but found that his debit card PIN had got locked. Extremely frustrated, he then sat at the entrance of Sri Kumarakottam Temple and sought alms from the people coming in. The police said his travel documents were in order and he had a valid visa till next month. They also gave him some money and asked him to go to Chennai.